We address the problem of automatically detecting a sparse set of 3D mesh vertices, likely to be good candidates for determining correspondences, even on soft organic objects. We focus on 3D face scans, on which single local shape descriptor responses are known to be weak, sparse or noisy. Our machine-learning approach consists of computing feature vectors containing \(D\) different local surface descriptors. These vectors are normalized with respect to the learned distribution of those descriptors for some given target shape (landmark) of interest. Then, an optimal function of this vector is extracted that best separates this particular target shape from its surrounding region within the set of training data. We investigate two alternatives for this optimal function: a linear method, namely Linear Discriminant Analysis, and a non-linear method, namely AdaBoost. We evaluate our approach by landmarking 3D face scans in the FRGC v2 and Bosphorus 3D face datasets. Our system achieves state-of-the-art performance while being highly generic. Ben Azouz, Z., Shu, C., & Mantel, A. (2006). Automatic locating of anthropometric landmarks on 3d human models. In Third international symposium on 3D data processing, visualization, and transmission (pp. 750–757, 14–16). doi: 10.1109/3DPVT.2006.34. Berretti, S., Bimbo, A. D., & Pala, P. (2010). Recognition of 3d faces with missing parts based on profile networks. 1st ACM workshop on 3D object. Retrieval (ACM 3DOR’10) (pp. 81–86). doi: 10.1145/1877808.1877825. Boyer, E., Bronstein, A. M., Bronstein, M. M., Bustos4, B., Darom, T., Horaud, R., et al.. (2011). Shrec 2011: robust feature detection and description benchmark. Eurographics workshop on 3D object. Retrieved. doi: 10.2312/3DOR/3DOR11/071-078. Colbry, D., Stockman, G., & Jain, A. (2005). Detection of anchor points for 3d face verification. In IEEE computer society conference on computer vision and pattern recognition—workshops, 2005. CVPR workshops (pp. 118–118, 25–25). doi: 10.1109/CVPR.2005.441. Creusot, C. (2011). Automatic landmarking for non-cooperative 3D face recognition. Ph.D. thesis, University of York. http://etheses.whiterose.ac.uk/2274/. Creusot, C., Pears, N., & Austin, J. (2010). 3D face landmark labelling. In Proceedings of the ACM workshop on 3D object retrieval. ACM, 3DOR ’10 (pp. 27–32). doi: 10.1145/1877808.1877815. Creusot, C., Pears, N., & Austin, J. (2011). Automatic keypoint detection on 3d faces using a dictionary of local shapes. In 2011 International conference on 3D imaging, modeling, processing, visualization and transmission (3DIMPVT) (pp. 204–211). doi: 10.1109/3DIMPVT.2011.33. D’Hose, J., Colineau, J., Bichon, C., & Dorizzi, B. (2007). Precise localization of landmarks on 3d faces using gabor wavelets. In First IEEE international conference on biometrics: theory, applications, and systems, 2007. BTAS 2007 (pp. 1–6). doi: 10.1109/BTAS.2007.4401927. Dibeklioglu, H., Salah, A., & Akarun, L. (2008). 3d facial landmarking under expression, pose, and occlusion variations. In BTAS08 (pp. 1–6). doi: 10.1109/BTAS.2008.4699324. Faltemier, T., Bowyer, K., & Flynn, P. (2008). Rotated profile signatures for robust 3d feature detection. In 8th IEEE international conference on automatic face gesture Recognition, 2008. FG ’08 (pp. 1–7, 17–19). doi: 10.1109/AFGR.2008.4813413. Fischler, M. A., & Bolles, R. C. (1981). Random sample consensus: a paradigm for model fitting with applications to image analysis and automated cartography. Communications of the ACM, 24(6), 381–395. doi: 10.1145/358669.358692. Itskovich, A., & Tal, A. (2011). Surface partial matching and application to archaeology. Computers & Graphics, 35(2), 334–341. doi: 10.1016/j.cag.2010.11.010. Kim, J.-S., & Choi, S.-M. (2009). Symmetric deformation of 3d face scans using facial features and curvatures. Computer Animation and Virtual Worlds, 20, 289–300. doi: 10.1002/cav.v20:2/3. Max, N. (1999). Weights for computing vertex normals from facet normals. Journal of Graphics Tools, 4, 1–6. http://portal.acm.org/citation.cfm?id=334709.334710. Mayo, M., & Zhang, E. (2009). 3D face recognition using multiview keypoint matching. Sixth IEEE International Conference on Advanced Video and Signal Based Surveillance, 2009. AVSS ’09 (pp. 290–295). doi: 10.1109/AVSS.2009.11. Mian, A., Bennamoun, M., & Owens, R. (2010). On the repeatability and quality of keypoints for local feature-based 3d object retrieval from cluttered scenes. International Journal of Computer Vision, 89(2), 348–361. doi: 10.1007/s11263-009-0296-z. Mian, A. S., Bennamoun, M., & Owens, R. (2008). Keypoint detection and local feature matching for textured 3d face recognition. 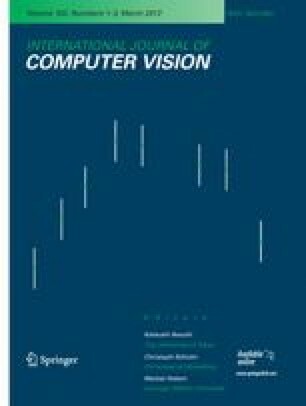 International Journal of Computer Vision, 79(1), 1–12. doi: 10.1007/s11263-007-0085-5. Mian, A. S., Bennamoun, M., & Owens, R. A. (2006). Automatic 3d face detection, normalization and recognition. In 3DPVT (pp. 735–742). doi: 10.1109/3DPVT.2006.32. Phillips, P., Flynn, P., Scruggs, T., Bowyer, K., Chang, J., Hoffman, K., et al. (2005). Overview of the face recognition grand challenge. In IEEE computer society conference on computer vision and pattern recognition, 2005. CVPR 2005 (Vol. 1, pp. 947–954). doi: 10.1109/CVPR.2005.268. Romero, M., & Pears, N., (2009). Landmark localisation in 3d face data. In Sixth IEEE international conference on advanced video and signal based surveillance, 2009. AVSS ’09 (pp. 73–78). doi: 10.1109/AVSS.2009.90. Romero-Huertas, M., & Pears, N. (2008). 3D facial landmark localisation by matching simple descriptors. In 2nd IEEE international conference on biometrics: theory, applications and systems, BTAS 2008 (pp. 1–6). doi: 10.1109/BTAS.2008.4699390. Savran, A., Alyüz, N., Dibeklioğlu, H., Çeliktutan, O., Gökberk, B., Sankur, B., et al. (2008). Bosphorus database for 3d face analysis. In Biometrics and identity management: first European workshop, BIOID 2008 (pp. 47–56). Springer: Roskilde, Denmark. doi: 10.1007/978-3-540-89991-4_6. Segundo, M., Queirolo, C., Bellon, O., & Silva, L., (2007). Automatic 3D facial segmentation and landmark detection. In 14th International conference on image analysis and processing, 2007 (ICIAP 2007) (pp. 431–436). doi: 10.1109/ICIAP.2007.4362816. Shotton, J., Johnson, M., & Cipolla, R., (2008). Semantic texton forests for image categorization and segmentation. IEEE Computer Society Conference on Computer Vision and Pattern Recognition (pp. 1–8). doi: 10.1109/CVPR.2008.4587503. Szeptycki, P., Ardabilian, M., & Chen, L., (2009). A coarse-to-fine curvature analysis-based rotation invariant 3D face landmarking. International conference on biometrics: theory, applications and systems (pp. 32–37). doi: 10.1109/BTAS.2009.5339052. Zaharescu, A., Boyer, E., Varanasi, K., & Horaud, R., (2009). Surface feature detection and description with applications to mesh matching. IEEE Conference on Computer Vision and Pattern Recognition (CVPR), San Francisco (pp. 373–380). doi: 10.1109/CVPR.2009.5206748. Zhao X., Dellandr anda E., Chen L., & Kakadiaris I. A. (2011). Accurate landmarking of three-dimensional facial data in the presence of facial expressions and occlusions using a three-dimensional statistical facial feature model. IEEE Transactions on Systems, Man, and Cybernetics, Part B: Cybernetics, 41(5), 1417–1428. doi: 10.1109/TSMCB.2011.2148711.